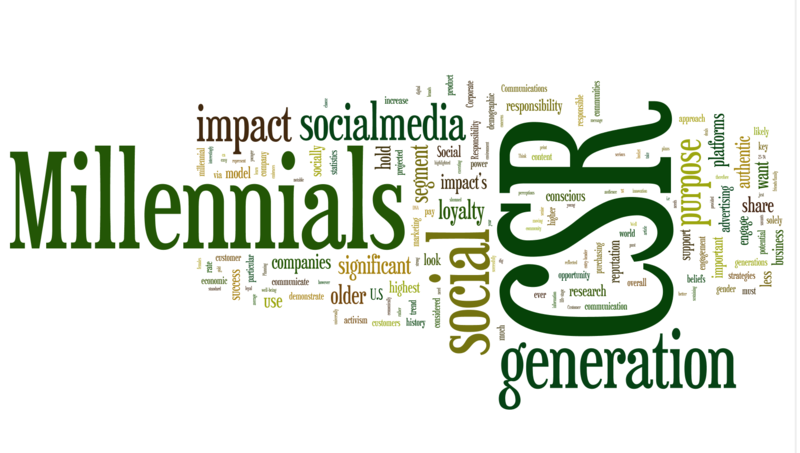 A recent study from the Pew Research Center shows that Millennials are now a larger generation than Baby Boomers. This indicates that, to market to the masses, "traditional values" will no longer work in today’s economy. The most important question now is What do Millennials care about? According to multiple sources, including Sustainable Brands, Generation Y cares about investing in B-Corporations. B corporations, as defined by B Lab, are “for-profit companies that [...] meet rigorous standards of social and environmental performance, accountability, and transparency.” These types of corporations are growing more popular and it exemplifies how much Millennials care about the impact of businesses. In fact, Forbes statistics show that “80% of a sample of 1,800 thirteen to twenty-five year olds wanted to work for a company that cares about how it impacts and contributes to society. More than half said they would refuse to work for an irresponsible corporation,” further proving how passionate this generation is about a greener business. Another interesting report is from MSNBC that says that a majority of Generation Y are willing to pay more for products from sustainability-focused companies. All these numbers prove is that going green is in, and things like solar energy could push businesses to thrive, and thus continuing to allow the clean energy industry to expand further. The lesson to be learned is that solar and other clean energies could deliver a higher pay off than on paper! The best use of this information is to capitalize on clean energy now and be at the forefront of this energy revolution. The largest demographic wants to see it happen, and with such as colossal demand, it is in the best interest of everyone to convert. Change is the only constant in life and it is exciting to think of what kind of change green energy will bring!